Design: Our products are designed "In House" for studio and/or stage use. Built to last, designed to offer the best possible performance. Quality: We have established extensive QC throughout the manufacturing process. Each unit is partially assembled and individually tested in our Belgian workshop before final inspection and packing. Affordability: Clever design, purchasing and packaging yield attractive prices, however price concerns always come after high performance has been established and proven. We keep a short path between the supply chain and the end user resulting in much lower end user prices than anticipated. 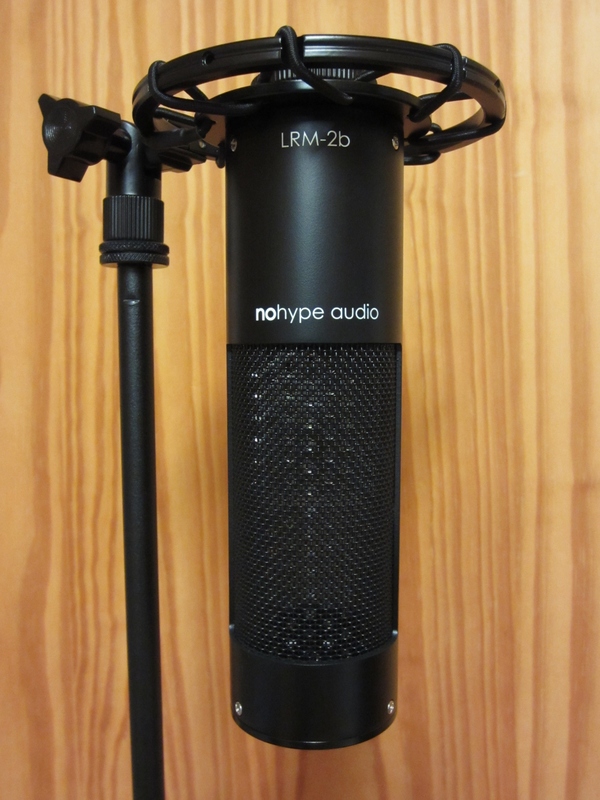 The LRM-V is a ribbon microphone which follows the LRM-1 in terms of style but has been completely redesigned inside, based on years of user comments and requests. Released in August 2018, designed to offer a classic, vintage ribbon mic response with contemporary specifications. 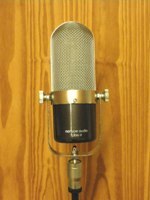 This is the mic to get if you want the pillowy, round, smooth sound of a vintage american ribbon. Pure symmetrical Bidirectionnal/Figure-8 Polar Pattern with identical front & back responses. Sold with soft padded protection bag, also available with Lundahl output transfomer. Ribbon tensionning, final assembly and testing performed in our workshop in Belgium. 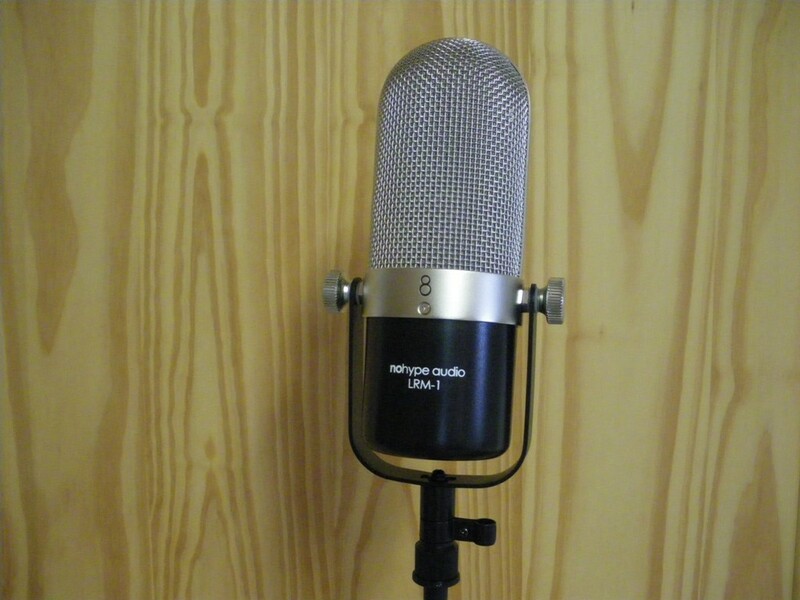 Large Ribbon Microphone: Long ribbon motor with large head basket. Inspired by vintage ribbon models. Frequency response: 30Hz to 11KHz @ +/- 3 dBs. Polar pattern: Pure Figure-8 (nulls at 90° and 270°) with identical front and back. Sensitivity: Typ. -52dB (0dB=1v/Pa) +/- 2 dB at 0° angle (front). Max. SPL (1% THD @1000Hz): 132dB. 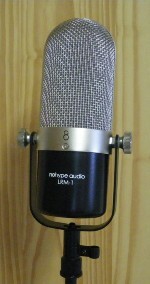 Fitted with removable EU size metal stand thread adapter (default USA size without adapter). Free matching when buying pairs or more, please inquire. Ribbon tensionning, final assembly and testing in our workshop. Completely redesigned inside while the body style has been retained per our customer's requests. Yoke shock mount/absorber and internal ribbon motor shockmount. Darker, rounder response, closer to the vintage US and UK made ribbons. Click here for Gearslutz discussion and user comments about the LRM-V.
Click here for Gearslutz direct link to samples of the LRM-V compared to a Coles 4038. Click here for for an Amazona Plug-In review including dry and wet samples of the LRM-V. Thanks Raphael Tschernuth for this! Click here for for an Amazona review, with comparison to the venerable Coles 4038. Thanks Raphael Tschernuth for this as well. Please check the Triton Audio Fethead Standard to turn our LRM-V into an active ribbon mic with 20dB+ of extra super clean gain. Email us for bank transfer payment or use the Paypal cart. Please add ONE shipping option per order, regardless of size/contents. Please always provide a telephone number when ordering. Prices below are Exc. VAT. LRM-V (/ stock transformer): 160,00 € Exc. VAT / 193,60 € Inc. VAT. IN STOCK. LRM-V (/ stock transformer) + Triton Audio Fethead: 210,00 € Exc. VAT / 254,10 € Inc. VAT. IN STOCK. Light Ribbon Microphone. New version of the LRM-2, released in Nov. 2018. The LRM-2 was originally based on the LRM-1 but upgraded in several ways. The LRM-2b goes further with higher sensitivity (at the motor/before the transformer) and a symmetrical, pure Bidirectionnal/Figure-8 Polar Pattern while the overall tone has been retained - yet with an even flatter response. This is a great choice for Classical music or any track needing a flat but smooth response with a symetrical Fig-8 pattern. Sold with soft padded protection bag, also available with Lundahl output transfomer. Shockmount included. Ribbon tensionning, final assembly and testing performed in our workshop in Belgium. The current version of the LRM-2b has a new shockmount design with stronger hardware. 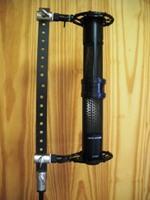 Light Ribbon Microphone: Long ribbon motor in a relatively light and small one-piece body protected by a strong grille. Response based on the vintage RCA 44BX with improved high frequency response; more linear than the LRM-1. Frequency response: 30 to 18,000Hz +/- 3 dBs. Polar pattern: Symmetrical pure Figure-8 (nulls at 90° and 270°) polar response. Sensitivity: -55dB (0dB=1v/Pa) +/- 1 dB at 0° angle (front). Max. SPL (1% THD @1000Hz): 135dB. Available with our "stock" transformer or Lundahl transformer. Please typically allow one more working day for Lundahl option if not in stock. More solid, stable and less resonant one piece body. Slightly different response, mainly flatter top end and more open low end. Redesigned motor with higher output and symmetrical (front=back) response. The Lundahl transformer option is typically chosen for more critical applications like classical recording. For Pop, Rock, Blues, Jazz... the stock transfo is usually preferred for its added midrange colour. Click here for Cockos forum mentions of the LRM-2. Click here for Gearslutz forum with a sample on upright piano, post #100. Gearslutz forum discussion including both LRM-1 and LRM-2. Audio: Stereo Blumlein / Lundahl, Apunte Bético (G. Gombau), staff: Daniel Berlanga (rec. eng. ), José Antonio Domené (Harp). Click here for 64MB AIFF file. Please check the Triton Audio Fethead Standard to turn our LRM-2 into an active ribbon mic with 20dB+ of extra super clean gain. LRM-2b (/ stock transformer): 185,00 € Exc. VAT / 223,85 € Inc. VAT. OUT OF STOCK > APRIL. LRM-2b (/ stock transformer) + Triton Audio Fethead: 235,00 € Exc. VAT / 284,35 € Inc. VAT. OUT OF STOCK > APRIL. LRM-2b/L (/ Lundahl transformer): 285,00 € Exc. VAT / 344,85 € Inc. VAT. OUT OF STOCK > APRIL. LRM-2b/L (/ Lundahl transformer) + Triton Audio Fethead: 335,00 € Exc. VAT / 405,35 € Inc. VAT. OUT OF STOCK > APRIL. Released in 2016, this kit allows the user to mount a pair of LRM-2s in vertical, coincident Blumlein or other stereo configurations including more typical horizontal setups. Note: the kit will not support two LRM-2's in a HORIZONTAL Blumlein config. 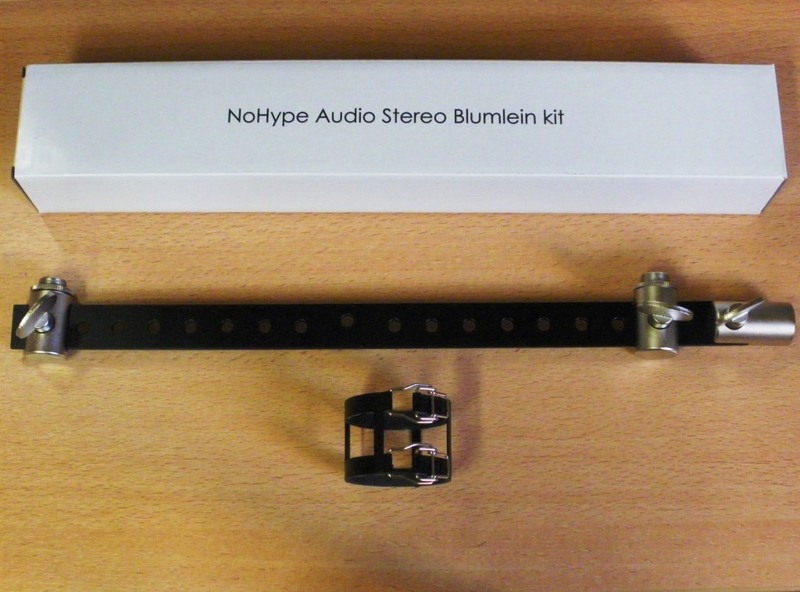 The kit is designed for vertical Blumlein (or other coincident) use only. The LRM-1's are too heavy for this kit. 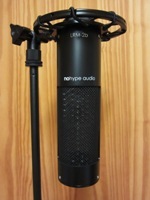 The kit is designed for the LRM-2, or similar weight microphones. Heavier microphones will eventually tilt the mic stand and most likely crash down below! The bar can take the weight but your mic stand probably won't. 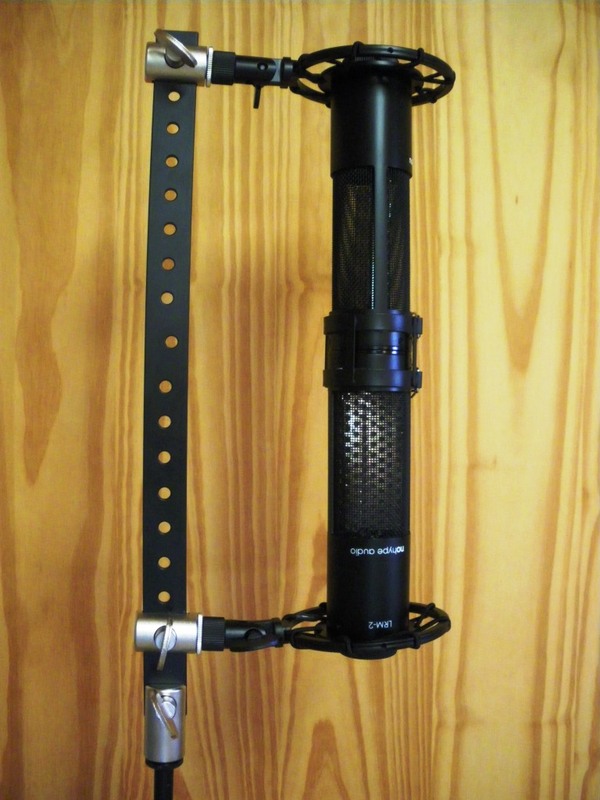 The kit includes a heavy duty stereo bar, three "knuckles" to mount the bar on a mic stand and to two microphones clamps (or shockmounts) and a coupler to secure two LRM-2 microphones together. No microphones are included in the kit. Thread compatible with US and EU thread clamps, shockmounts and mic stands: the mic clamp/shockmounts are 5/8" and the mic stand thread is 5/8" with an included 3/8" adapter. Single kit (bar + coupler): 89 € Exc. VAT / 107,69 € Inc. VAT. IN STOCK. DISCONTINUED - INFO BELOW FOR REFERENCE ONLY. Large Ribbon Microphone. Original version released in 2011, followed by two main revisions. 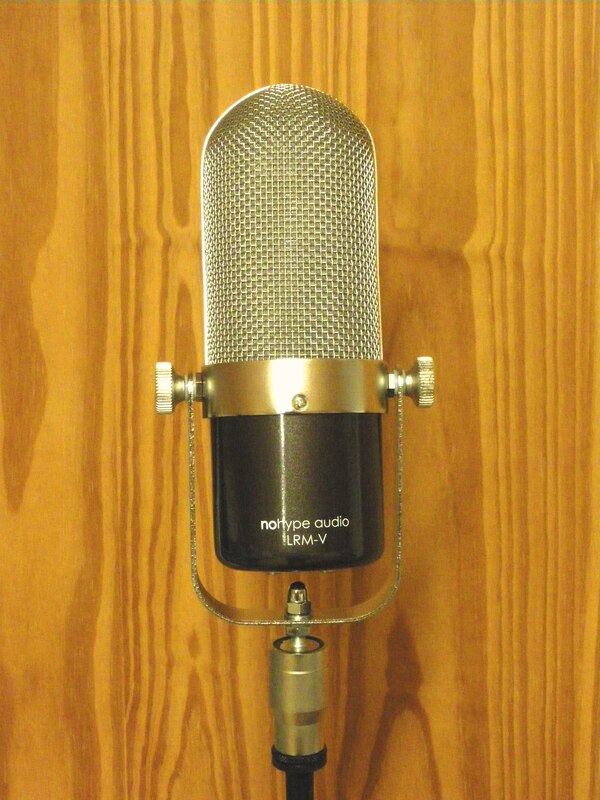 Designed to offer a classic, vintage ribbon mic response with contemporary specifications. Pure Bidirectionnal/Figure-8 Polar Pattern. Sold with soft padded protection bag, also available with Lundahl output transfomer. Final assemby and testing performed in our workshop in Belgium. Last version, post January 2016: upgraded internal shockmounting. Discontinued in May 2017. We still provide servicing with original parts, please contact us if required. Response based on the vintage RCA 44BX with improved high frequency response. Polar pattern: Pure Figure-8 (nulls at 90° and 270°) with slightly higher sensitivity from the front. Sensitivity: -57dB (0dB=1v/Pa) +/- 1 dB at 0° angle (front). Max. SPL (1% THD @1000Hz): 137dB. Available with stock transformer or Lundahl transformer. Final assembly and testing in our workshop. Typical frequency response with stock transformer shown. LRM-1 in stereo on a classical guitar and voice. LRM-1 pair on drums overhead. LRM-1/L (Lundahl) on "Live" solo sax. LRM-1/L (Lundahl) on stereo drums overheads. LRM-1 on mono drums overhead and as distant acoustic guitar mic. Cafe Saxophone forum discussion thread with some audio samples. Basschat forum discussion, including the LRM-1. Gearslutz forum user review (standard version). Gearslutz forum discussion thread with some audio samples. Fried Bourbon album video: LRM-1 as single drums overhead (with a few dB's of extra kick via ATM-25 mic in the mix), slight UA LA610 compression. We prefer to show 1/6th Octave curves in 1 dB/line resolution rather than 1 Octave, smoothed curves at lower resolution, as they show more information. These are not perfectly accurate curves but better, more telling curves will soon be published. Please keep it in mind when comparing with other mics data. No VAT (EU sale tax) is due for customers located outside of the EU, or with a valid EU VAT N°. The VAT amount (at 21%) will be shown on the invoice when applicable.